And in other news, he's got a daughter. Fornell is facing a rough road ahead, and.... Ziva's dead. 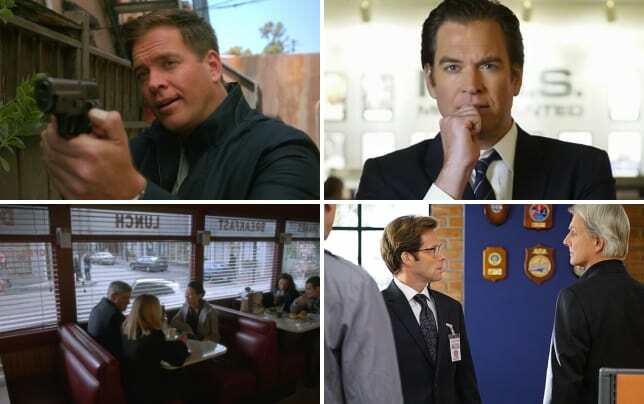 All this and more happened on NCIS Season 13 Episode 24. Below, TV Fanatic panelists Christine Orlando, David Taylor, Kathleen Wiedel and Douglas Wolfe compare notes on the season finale. Ready to join the discussion? How would you describe this episode in a few words, or a sentence? Christine: Time to move on. Kathleen: Goodbye, Farewell, and Amen. Doug: On being someone's everything. What revelation turned out to be the biggest surprise to you? Why? 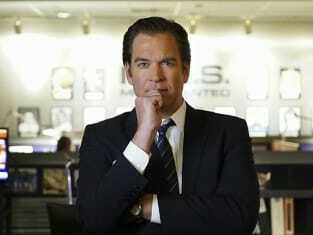 Christine: I really didn’t think they’d kill off Ziva, but Tali was the biggest surprise. I never saw that coming. I loved it! Tony and Tali are amazing together, and Tony changing his life for her makes perfect sense, but her very existence was a complete shock to me. David: Well, I half-agree with Christine. Tali was a big surprise, but for me, the bigger surprise was Tali "telling" Tony she knows who he is. Kathleen: Tali was a huge surprise, and I find it tacky that Ziva denied Tony the chance to be a father. As Tony remarked, she apparently didn't know him at all. Doug: I had predicted Ziva's death, so that wasn't too much of a surprise. But yeah, seeing Tali and learning she was their daughter just blew me away. What are your thoughts on Tony? Christine: I love Tony. 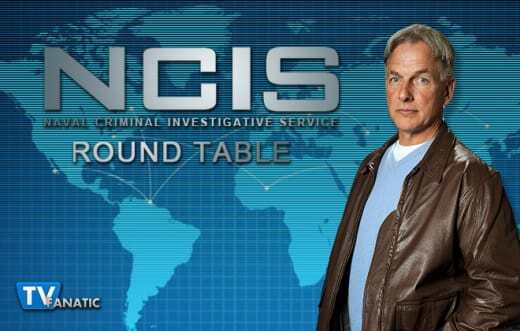 I originally tuned into the pilot episode for Mark Harmon (Gibbs) but Tony has always been my favorite. He’s smart and funny and flawed and I will truly miss him. The show just won’t be the same without him. David: Well, his frat-boy antics didn't win any points with me, but he does have his humane side. I'd be VERY curious to see what kind of Dad he turns out to be. The show's got a huge void to fill now and it's going to take time for folks to get used to his departure. Kathleen: Tony's evolved greatly over the course of the series; it's too bad that we'll not get to see him learning to be a dad to Tali. Maybe he'll make guest appearances in the future – we can only hope! Doug: I think he was a huge part of that show, and I'm really sorry to see him go. NCIS has always revolved around its ensemble cast, with each member bringing something unique to the table. I just never thought of anyone ever breaking away from it, much less Tony. 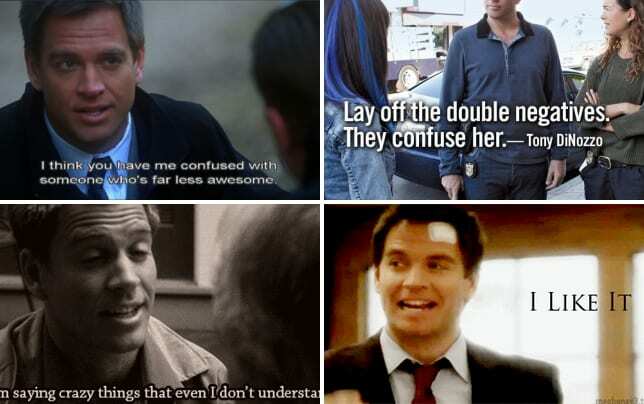 Was Ziva’s death put in solely for making Tony a single dad, or was there another motive? Christine: I think fans still needed closure where Ziva was concerned as much as Tony did. As much as I didn’t think they’d kill her off, I’m surprisingly okay with it. I like how it finally allows Tony to move on and Michael Weatherly was superb in the scenes where he's dealing with her death. I actually can't wait to go back and watch it all again. David: I agree with Christine. Some kind of closure was called for, but there were PLENTY of people wanting a "happily ever after" for Tiva. This has got to be upsetting for them. Kathleen: Make that three. It was less about Tony so much as closing the book on her own tragic story, finally finding peace only to get blown up over some of her father's old files. Eli David was a father who brought only death upon his children. Hopefully, Tony will break that legacy with little Tali. Doug: I can't help thinking there was something more to her death. While it served a creative purpose for getting Tony off the team, I keep thinking back to how Cote de Pablo was always willing to come back as a guest. Then there was that interview where she talked about her "real" reason for leaving, involving creative differences. That felt like maybe she burned a bridge or two. Share your thoughts on Tali. Christine: That child couldn’t have been more adorable if she tried, and she and Tony were beyond cute together. My one issue was that Ziva kept her from Tony. If it had been to protect her somehow, I could understand that but instead we’re told that she didn’t want to ruin Tony’s life or she wanted to keep her independence. Those reasons are misguided and selfish. Tony had every right to know he had a child. As much as I loved Ziva, she was certainly flawed so I can’t say this was out of character, however, it still bugged the heck out of me. David: I think I was in a bit of denial when I heard that there was someone named after Ziva's sister. My first instinct was that Tali was a niece since so many of Ziva's relatives had been killed. I actually uttered an expletive when Orli Elbaz said "Tali is your daughter, too." As for the little girl herself, she was beyond cute. Kathleen: Tali was very sweet, yet not over-the-top precocious. On the one hand, I'm glad that a part of Ziva survived through her. On the other, I completely agree with Christine on Ziva's keeping Tali a secret from Tony. She didn't even offer him the chance to step up. Doug: I think Tali stole a lot of hearts when she showed up like that. And when she pointed to Tony in the picture and said "Abba" I couldn't breathe for the emotion. Wow. It reminded me of when my first was born and about how my whole worldview changed – *snap* – just like it did for Tony. It made total sense to me then that he would give up everything just to keep her safe. What are your thoughts on the team dynamic going forward – without Tony, but with Clayton and Monroe? Christine: It’s a work in progress. I like Clayton, and Tess is growing on me. I’ll just have to tune in for NCIS Season 14 and see how it goes. David: I don't know how I feel yet. Monroe's from the FBI so it stands to reason that she'd pop in from time to time while Fornell recovers. However, Clayton's from a foreign agency and when Gibbs uttered the final "grab your gear! ", it seemed implausible that Clayton was now considered a member of NCIS. Surely with this mission over, it's logical that he return to the UK. Kathleen: It's not the first time that Gibbs has "adopted" someone from a foreign intelligence agency (*cough*Ziva*cough*), and I definitely like Clayton so far as a character. Abby's praise of his awesomeness dipped a bit into overkill, but I think he would fit in nicely with his charm, sense of humor, and work ethic. Monroe, on the other hand, doesn't mesh as well; I feel that she would not be content in a subordinate position to Gibbs, the team leader, and insist on doing things her own way – not a healthy dynamic in a team. Doug: Monroe is a strong character for sure, and I'm pretty sure her continual presence there would create some waves. For that reason, I'm hoping she stays. I don't know what it is, but whenever there's conflict within the team, it makes the show more exciting to watch. We saw that when Vance and Gibbs were at loggerheads with each other the moment Vance took the reigns. As for Clayton, his character doesn't feel complete just yet. There are a lot of missteps going on with his interactions with the team, and with some of the dialogue he's been given. I wouldn't feel great about the team's prospects going forward, except we saw how the writers all stepped up after Cote left. I'm sure they can pull a rabbit out of a hat again. It'll be fun to see.